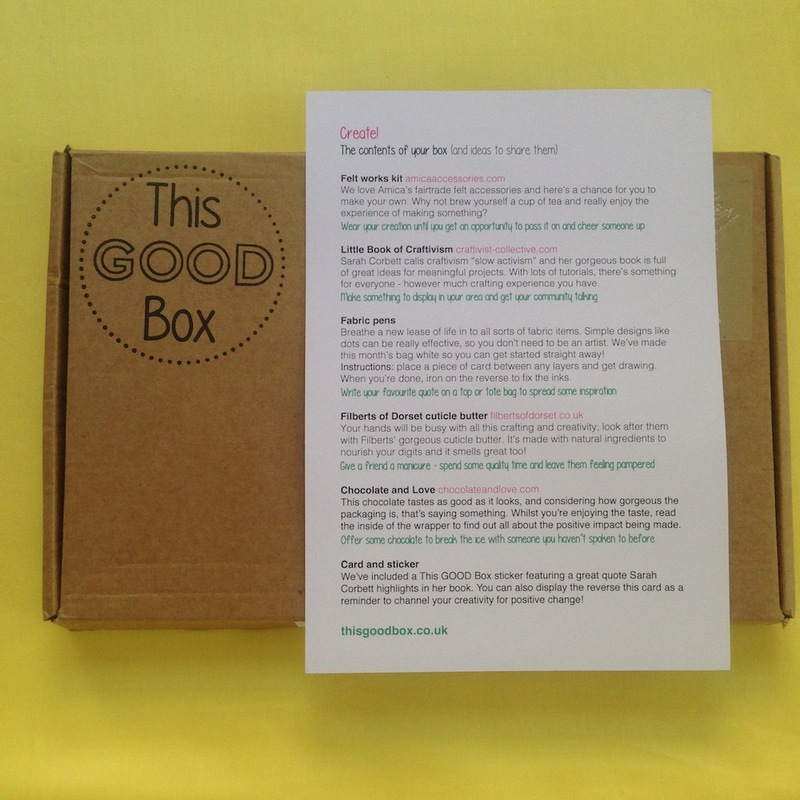 This GOOD Box is all about making it easy, fun and inspiring for people to live more ethically. I’m proud to say that our A Little Book of Craftivism is in each box heading out to over 100 people this month. Plus the sticker of the month is the quote we have cross-stitched in our Craftivism suitcase-Lianne loved it so much she said it was the perfect quote for this box. Oh and I did a little interview for their blog you can read here. 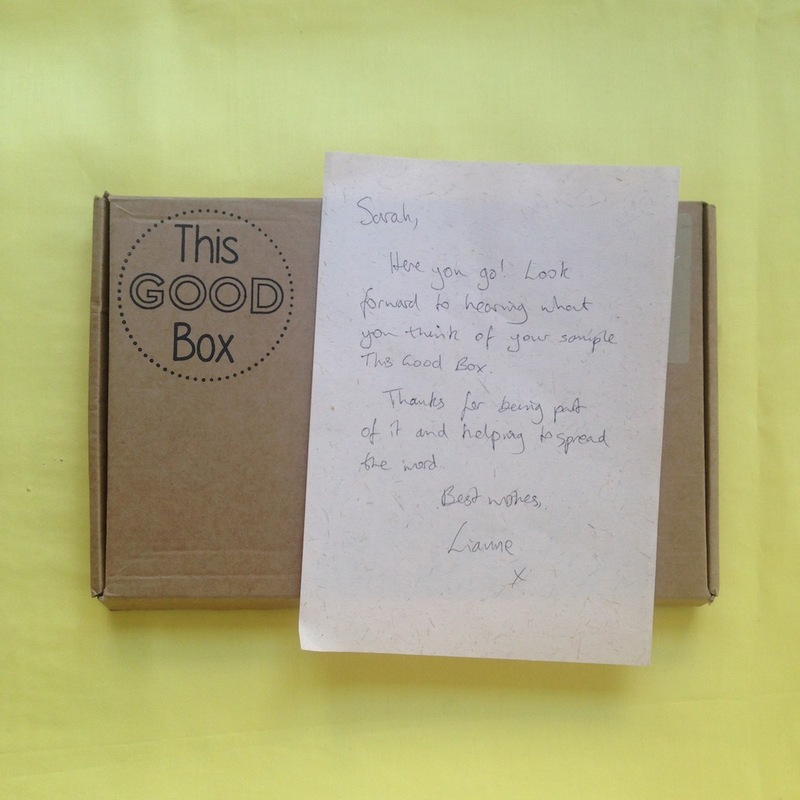 “I think the way in which we choose to spend our money can have a huge impact, so I started This GOOD Box as a way to help people find the best eco-friendly and socially conscious products by putting them straight in their hands each month. There’s also a random acts of kindness vibe that runs through everything; every item comes with a suggestion of how to share it or spark a conversation to help build connectivity with those around us. 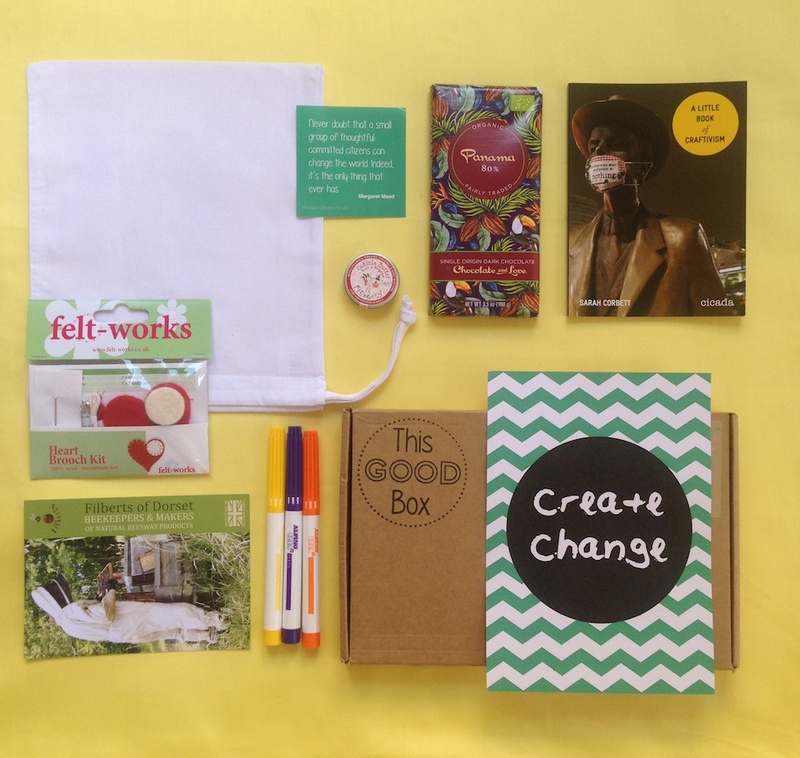 Each box comes with a sheet explaining the theme, content & story behind these ethical products. “When I decided on the theme “Create” for the first box I knew I had to include something from Craftivist Collective because it’s such a great fit. I think we share a passion for finding fun, engaging ways for people to connect with different issues; ways which fit with their lifestyle and nourish them in the process. I quickly set my heart on featuring The Little Book of Craftivism as I think it will be rare that we’ll be able to fit a book in our boxes! 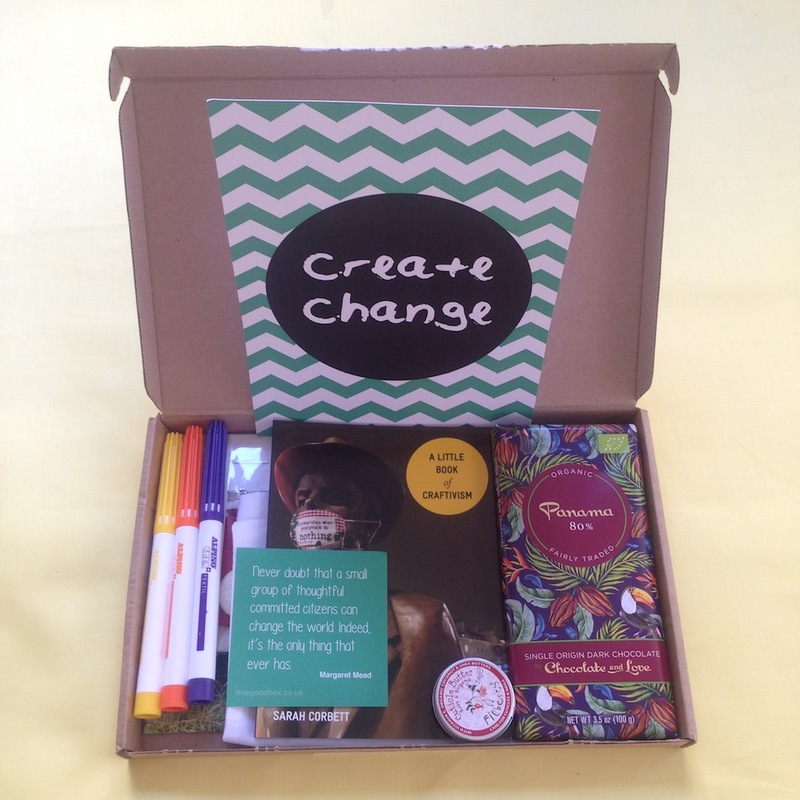 The book’s so colourful and inspiring; its a great introduction to craftivism and a fantastic addition to our box.